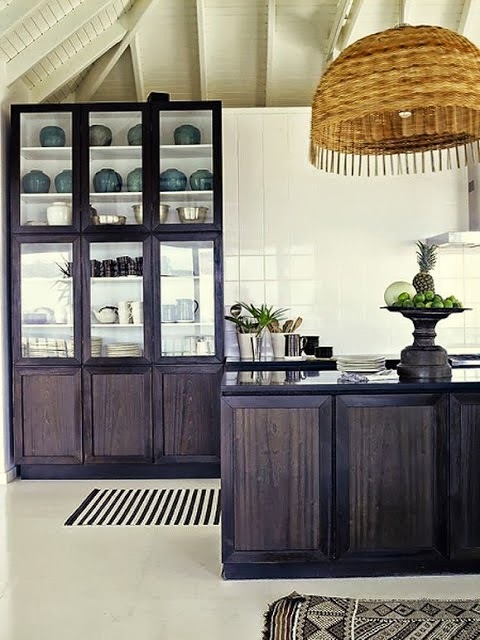 This tropical kitchen has been on my radar for years ever since I first saw it in Coastal Living and it has been the source of much inspiration and even the topic of two blog posts. It is then fair to say that I was very excited when I came across these images showcasing this St. Barts beauty from different angles. 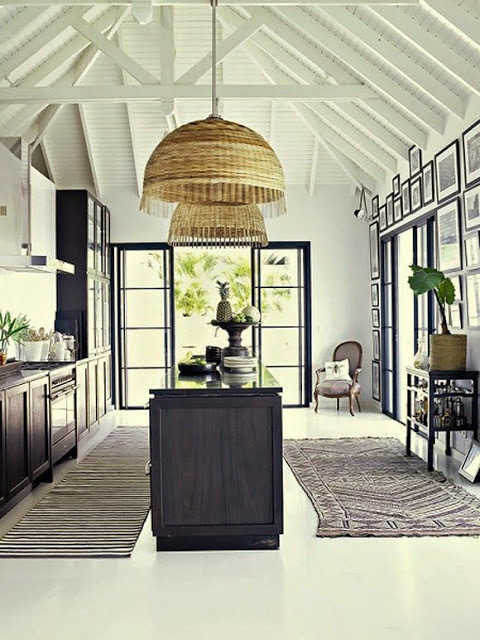 I love the simplicity and open plan of the kitchen, the all white tile backsplash and the exposed beams in the ceiling. 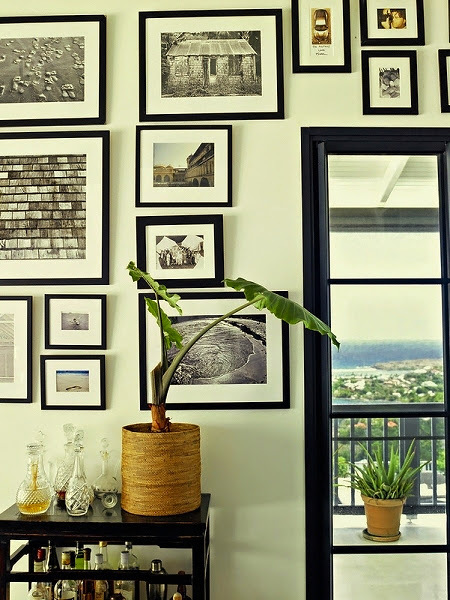 The simplicity allows for the main focus to be the tropical elements such as the palm tree accents and oversized basket weave light fixtures and ofcourse - the views!